“ Lagyan ko kaya ng suspender ang pants ko. Matagal na rin naman na nakahanger at hindi nagagamit, siguro mga 15 years na.” Mukhang bago pa kahit 20 year old na. 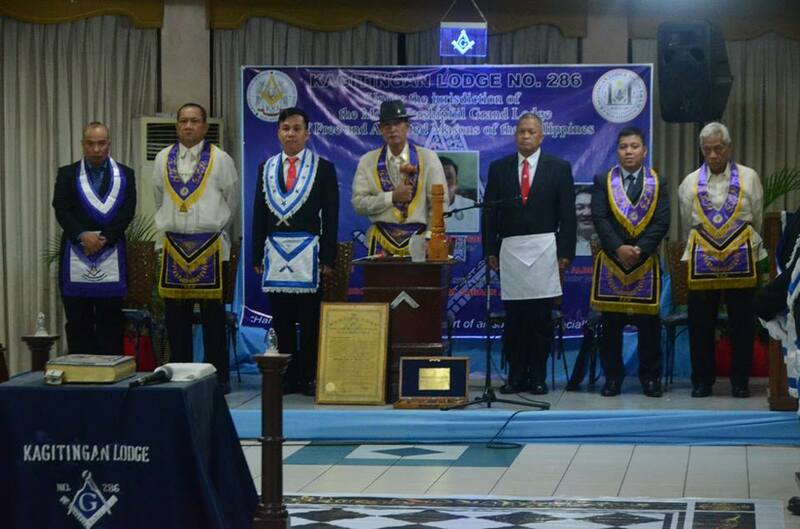 Hindi ako nagkamali, may dalang swerte nga ang suspenders ko sa black pants at white long sleeves with tie, the required attire for the night just a combination of simple shirt and tie..
During the award presentation of the District Grand Lecturers, I was awarded Plaque of Recognition as Most Outstanding District Grand Lecturer for Masonic Year A.L. 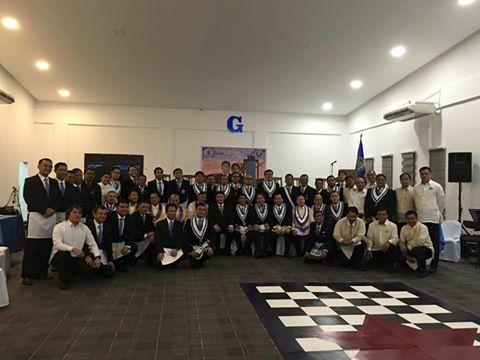 6015-6016 by the Masonic district NCR-G given by VW Bernardo F. Bondoc, DDGM and attest by the Secretary VW Xerxez S. Coronado,PDGL. “ Maswerte talaga ang suot kong suspenders”. 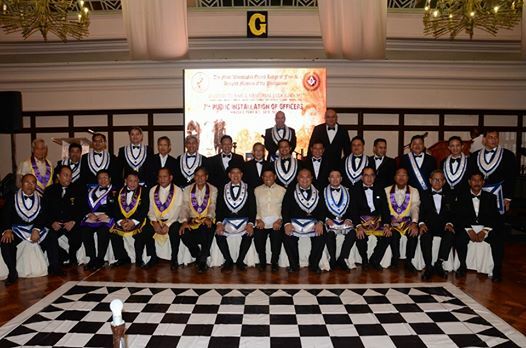 Isang taon na pala ang nakalipas matapos na ako ay ma appoint as grand line officer – dgl of masonic district ncr-g. Natatandaan ko pa nong magsama sama ang mga appointed grand line officers sa Run for SAF 44 s mula sa crame papuntang church malapit sa qc city hall. Excited at may halong enthusiasm sa haharaping isang taon ng panununkulan as part of NCR-G team. 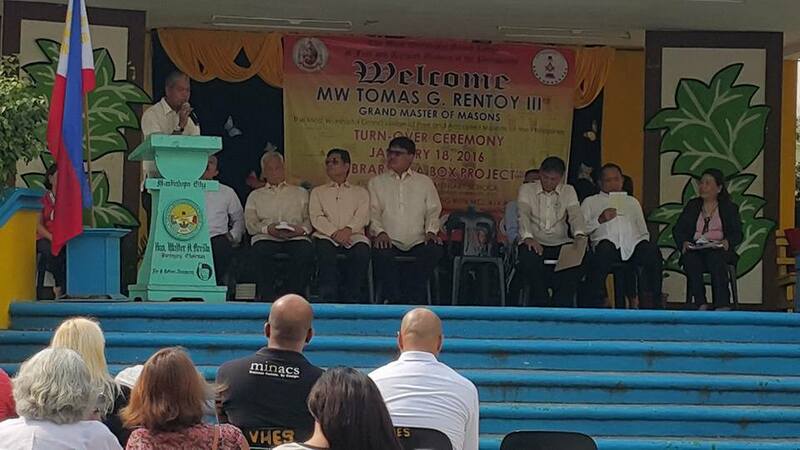 Maraming accomplishments ang MD NCR-G. Mula pa sa ANCOM 2015 Legaspi City ay solid na ang teamwork ng 7 na mga DGLs ni DDGM Bernardo F. Bondoc. 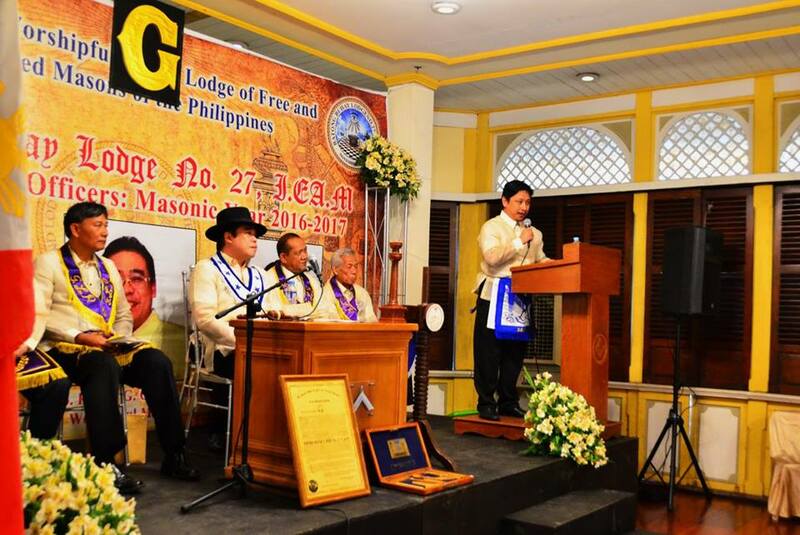 Sa akin na assign ang pagigiging chaplain ng district saka Lecturer ng dalawang lodges, Las Pnas Lodge no. 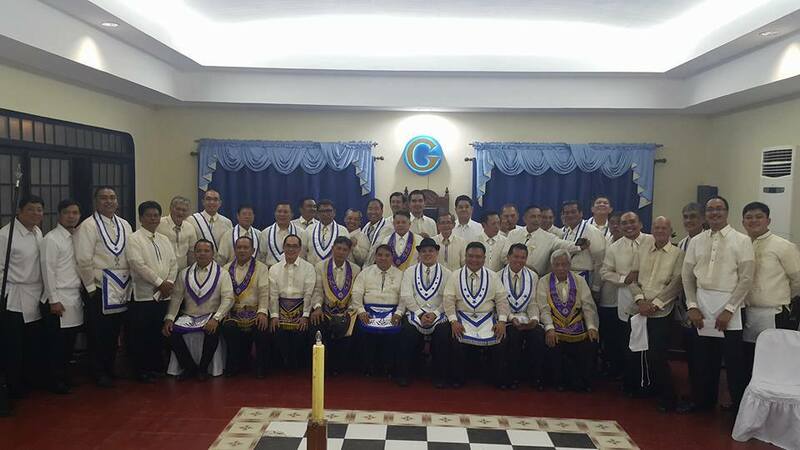 332 at King Solomon Lodge No. 150. Sobrang nag enjoy ako sa loob ng isang taon sa mga monthly topic enterpreting edicts and circulars. Month of May 2015 was a hectic month. 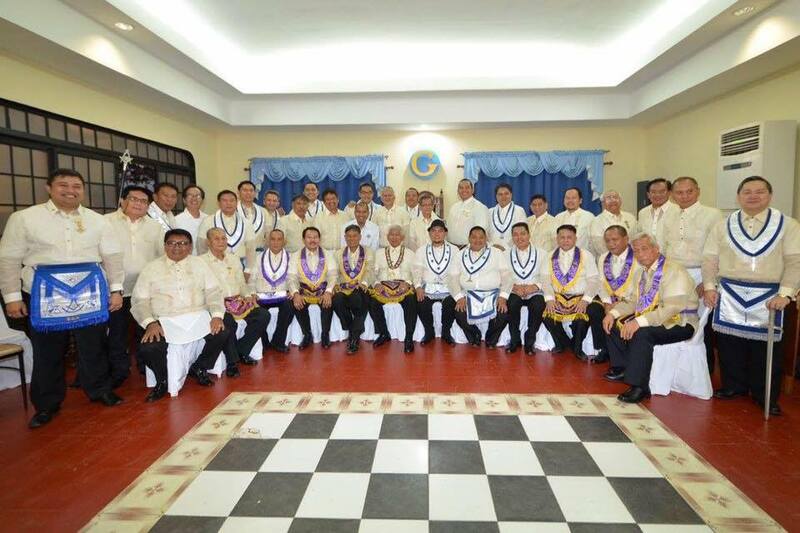 Immediately after the ANCOM on April 2015, May 4 was the turn-over date of the district officers. With my skill in microsoft office publisher and powerpoint presentation, I was able to share my knowledge in the preparation of programme, other important information about district history, past ddgm, grand line officers, members of the district. I anticipated the reports to be submitted by compiling pictures starting from event one. These documents serve as good reference for the files needed in the report system for the future dates. 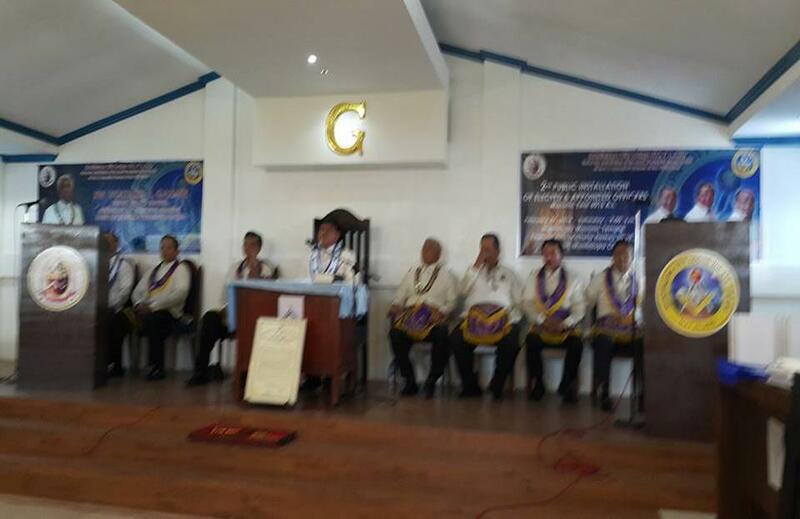 District Turn-Over with Mw Tomas G. Rentoy III, Grand Master of Masons and RW Voltaire T. Gazmin, Deputy Grand Master during the turn-over of District Officers. 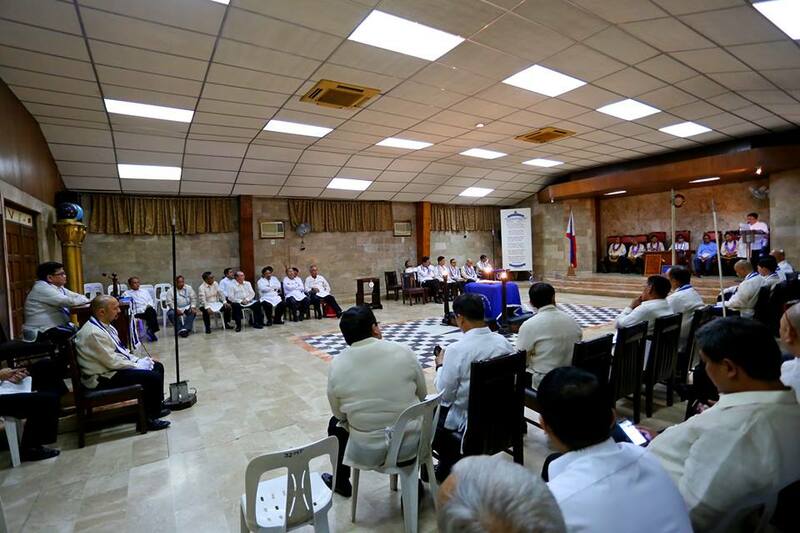 Other events like seminar for the 3 Reform Program held at Grand Lodge of the Philippines; Catholic Sunday masses, Muntinlupa City Lodge No. 414 Constitution. 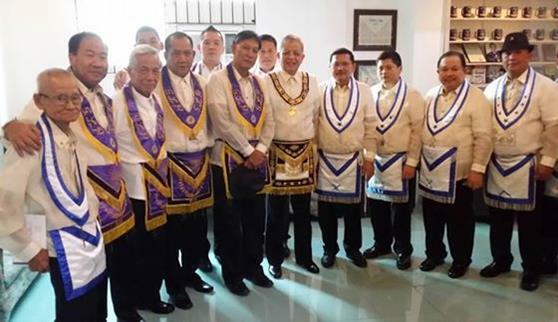 On May 25, 2015, first fellowship with the Grand Master at GLP was sponsored by MD NCR-G.
Wreath laying at Libingan ng mga Bayani. 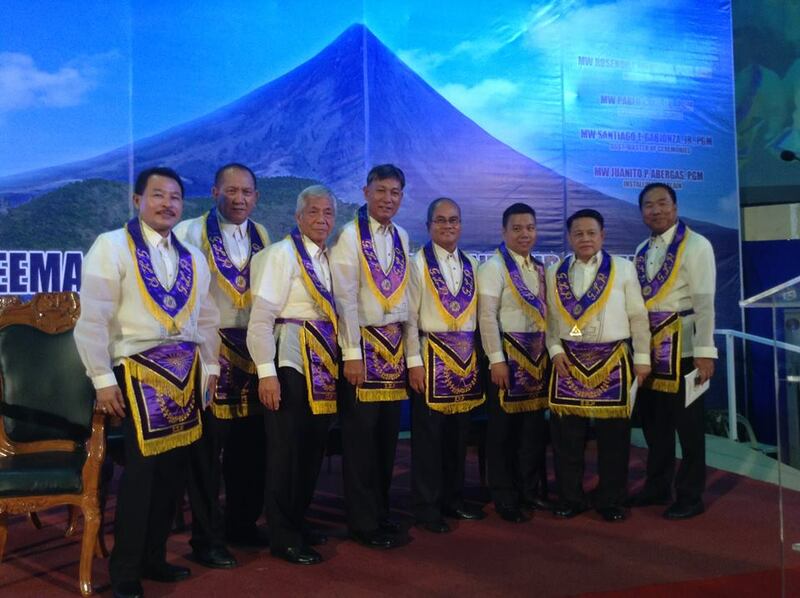 The Secretary of the National Defense, Honorable Voltaire T. Gazmin with masons of Masonic District NCRG at the Libingan ng mga Bayani in Fort Bonifacio, Taguig City. 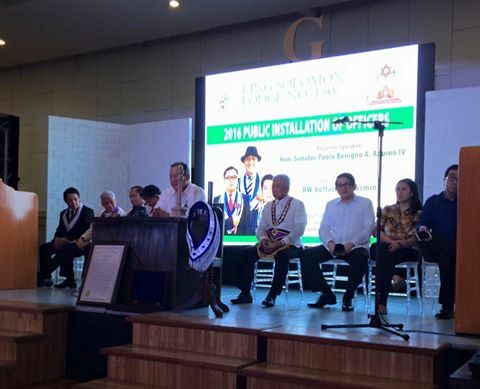 Turn-over of Library in a Box Project at Victoria Homes Elementary School, Muntinlupa City on January 18, 2016.